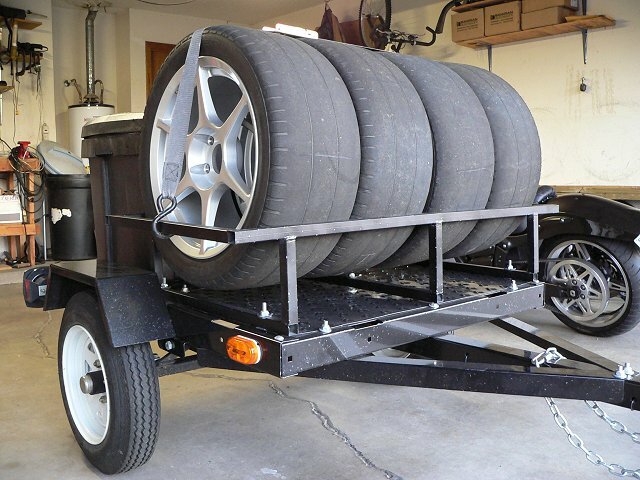 This isn't really so much a technical write-up, but just some photos of the tire trailer that I purchased from Harbor Freight. 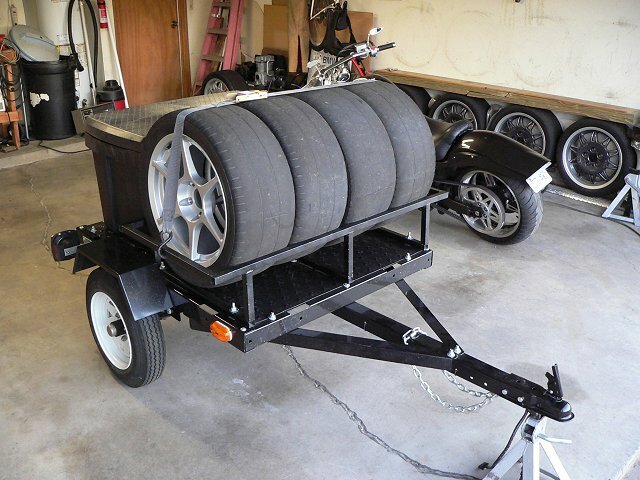 I mounted a simple tool box on it and fabricated a custom tire rack for it to haul my racing tires and tools to the track. 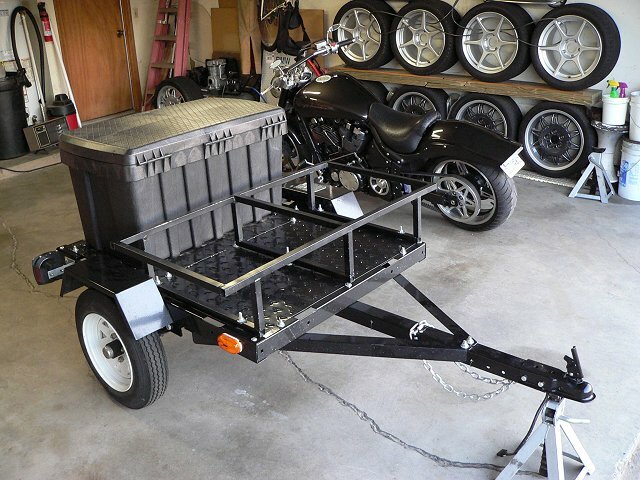 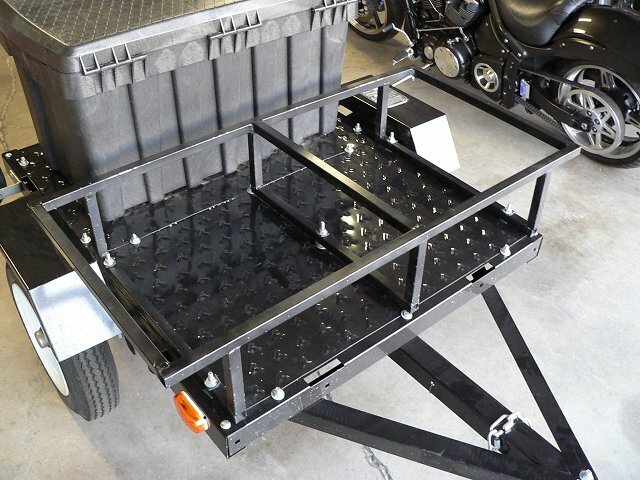 I chose this particular trailer over the less expensive red trailers at Harbor Freight because this one is powdercoated black, has a metal deck, has the stronger "A" tounge, and comes standard with the 12" wheels/tires. 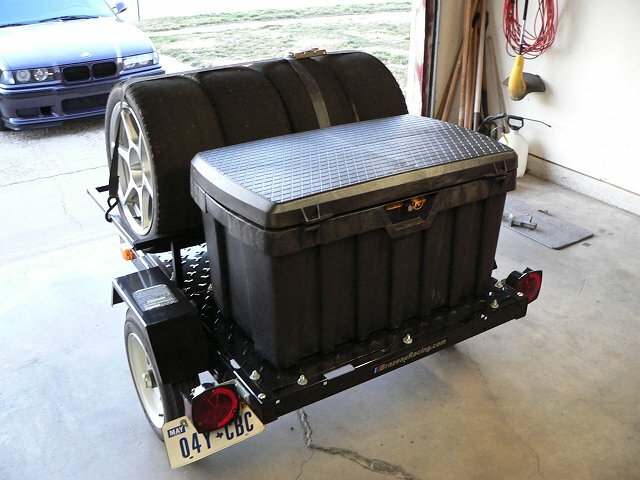 I've been really happy with it.